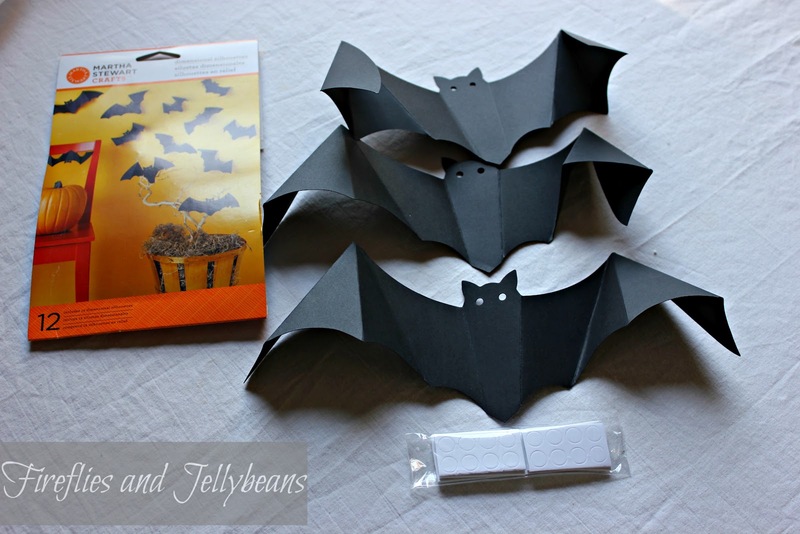 Fireflies and Jellybeans: Martha Stewart Craft Week: Easy Halloween Wall Decor! 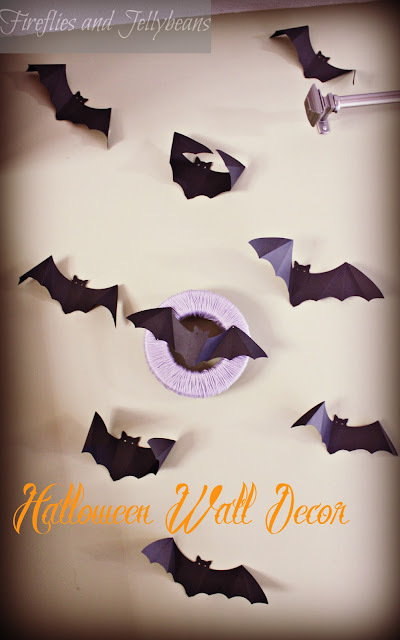 Martha Stewart Craft Week: Easy Halloween Wall Decor! I was sent a big box of crafting supplies from Martha Stewart! It is a crafter's dream come true! I had so much fun creating fun projects that I have deemed this week: Martha Stewart Craft Week! 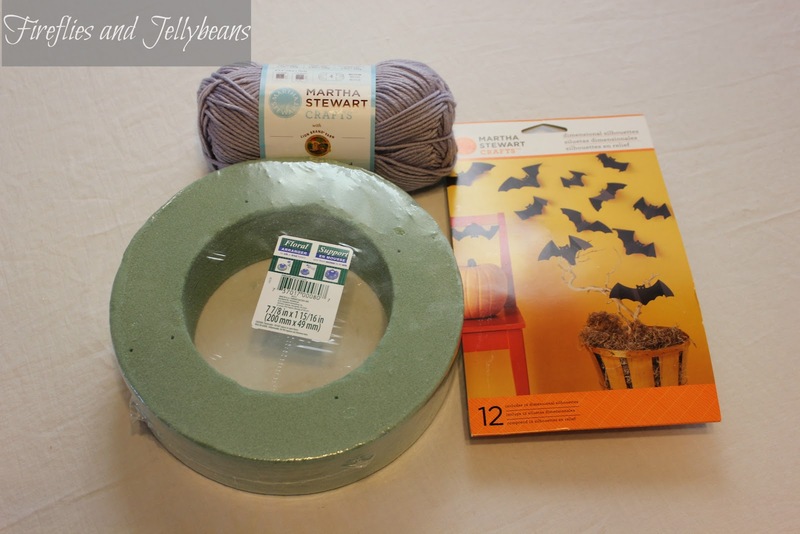 First up: Easy Halloween Wall Decor! 1. 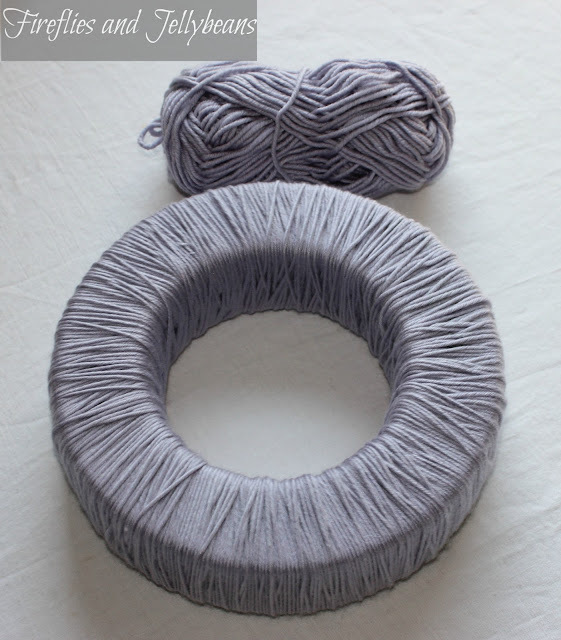 First wrap your wreath foam with the yarn. I used hot glue to secured the yarn to the back at the start and finish. 2. Open up your bats and fold them on the scored lines. 3. Hang your wreath on the wall. Use the adhesive dots that come with them to hang the bat on the wall. I also used straight pins to attach a bat to the wreath. Micheal's has a 50% off coupon of one Martha Stewart Crafts item to help you get started on your crafting!